Spring is officially here! During the winter months our homes take a beating, so it’s important to perform seasonal maintenance to keep your home in tip-top shape. 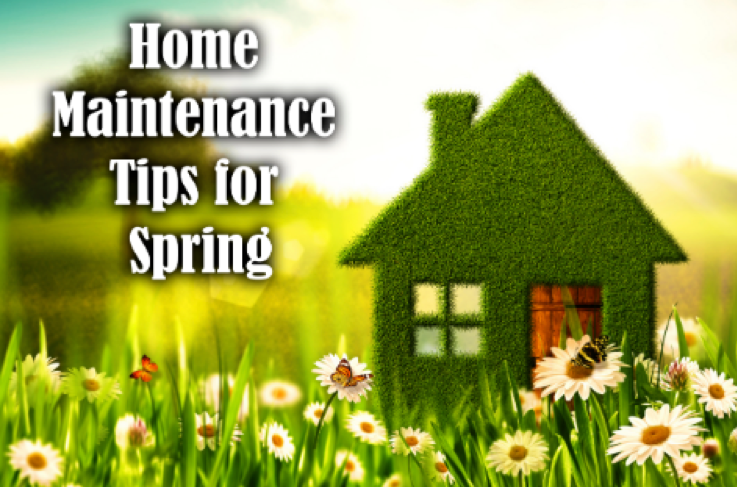 To help you prepare, we’ve put together this list of spring home maintenance tips. Exterior Brick and Stucco – Inspect for chipping or white water deposits. Water spots can indicate a problem with your gutters. Siding – Pressure wash to prevent mold. Replace rotted pieces. Windows and Doors – Inspect and repair caulk and weather stripping. Replace torn screens. Foundation – Look for cracks, heaving or deterioration. Call a professional for repair if needed. Roof – Check for damaged shingles and have a professional replace if necessary. HVAC – Change filters, clean air purifier and have a professional check that your system is ready to handle the warmer months. Attic – Examine for leaks and proper ventilation. Gutters – Remove leaves and other debris. Reattach if loose. Chimney – Have it inspected for cracks and leaks. Landscaping – Prune plants and shrubs to prevent soil erosion. Happy spring from your #1 trusted source for all home improvement and remodel needs.